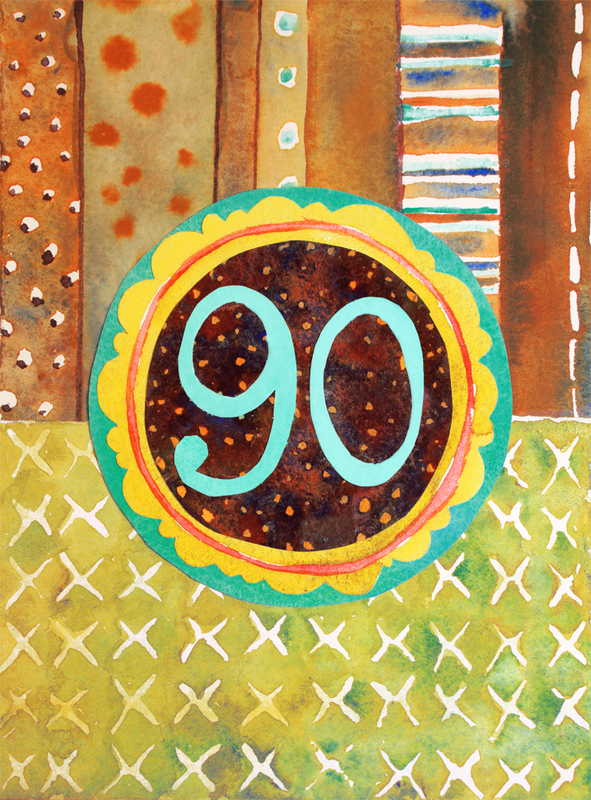 This is the front of handmade greeting card I created for my Grandpa’s 90th Birthday. This piece includes watercolor and collage. You can read more about it in this blog post. 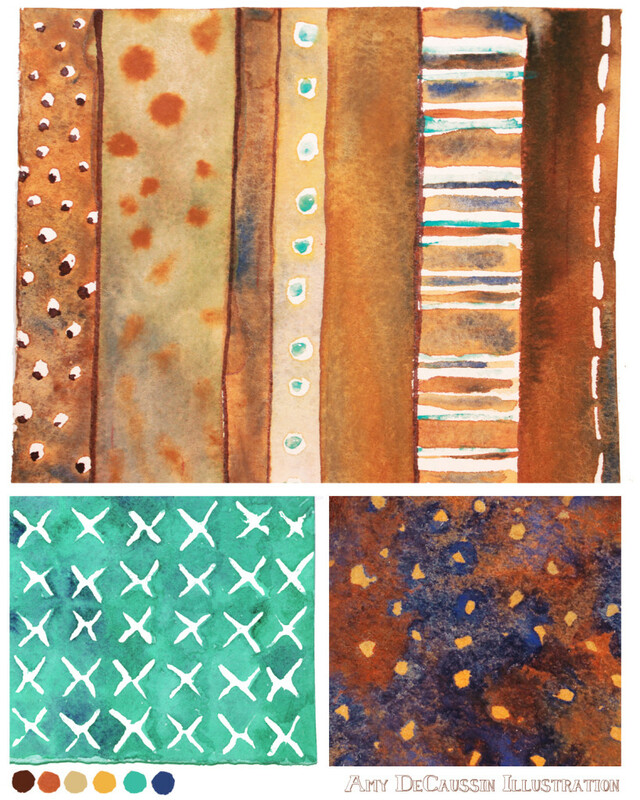 This second piece is a bolt fabric design sample created from the original greeting card design.